Finally, I'm posting some of the events that happened during the holidays and here are some photos from our Post Christmas party with my former highschool classmates. It was last Dec, 29, 2010 when we had our Christmas party at CH2 resto in Antipolo City. 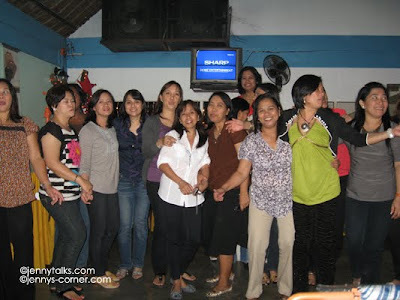 I came with my friend Helen and Lolit and it was around 7pm when we arrived at the venue. It was still early so we had the chance to take photos. 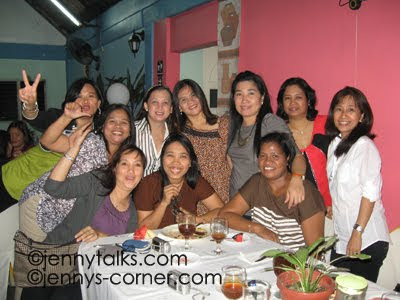 It was nice meeting my former batchmates once again to have fun and reminisce our HS days. The gathering was also made special with the attendance of our batchmate who came from the US for a vacation. It's also nice to see some batchmates who attended our gathering for the first time and also to know that one of them is into printing business and another one working as a staff in the Senate. We all have different careers and status in life but when we're all together we're just like teens from highschool having fun! There are lots of food, drinks and chismax. 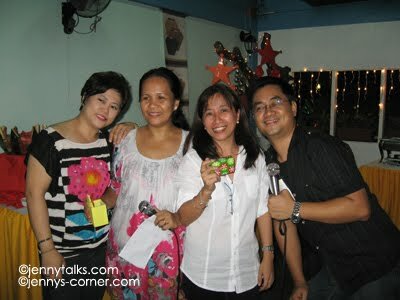 Games, raffle and videoke made the party even more fun. My name was called by the organizers and they asked me to join one of the games (passing of round bubble gum using a plastic spoon). I happily joined the game and it was so exciting and riot. Fun fun fun... our team also won. Yey. The night is endless. We danced, sing, take photos and let our hair down. I danced the swing with Nemia couple of times and eventhough it was tiring, made me extremely enjoyed the night. Unfortunately my p&s cam "died" (lens error) in the middle of the party so I only have few photos taken. We enjoyed the party so much that it was already 3 am when we all went home. 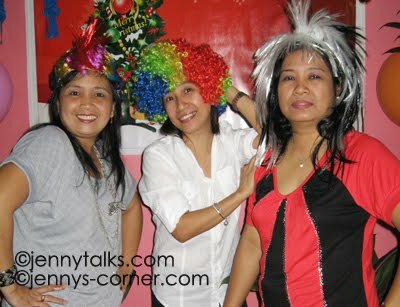 I sure hope we'll have another party soon and for sure I'll be joining once again!